We provide high performance Stainless Steel Round Bars that are highly acknowledged in the national and international markets. Our Stainless Steel Bright Round Bars are manufactured from the optimum quality stainless steel to assure durability. 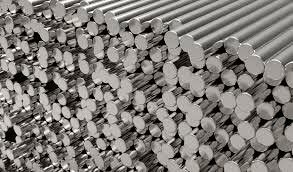 We have carved a niche as the most predominant SS Round Bars Manufacturer in India. Manufactured in compliance with international standards, our Stainless Steel Round Bars are known for their exceptional durability and unmatched quality. Bulk orders of the Round Bars are delivered by us within the promised time frame.